Jalen Rose is in it. As someone that only recently started following the NBA about 6 years ago but who has listened to every second of every episode of “Jalen and Jacoby” on Grantland, discovering this was a gift from Basketball Jesus himself. 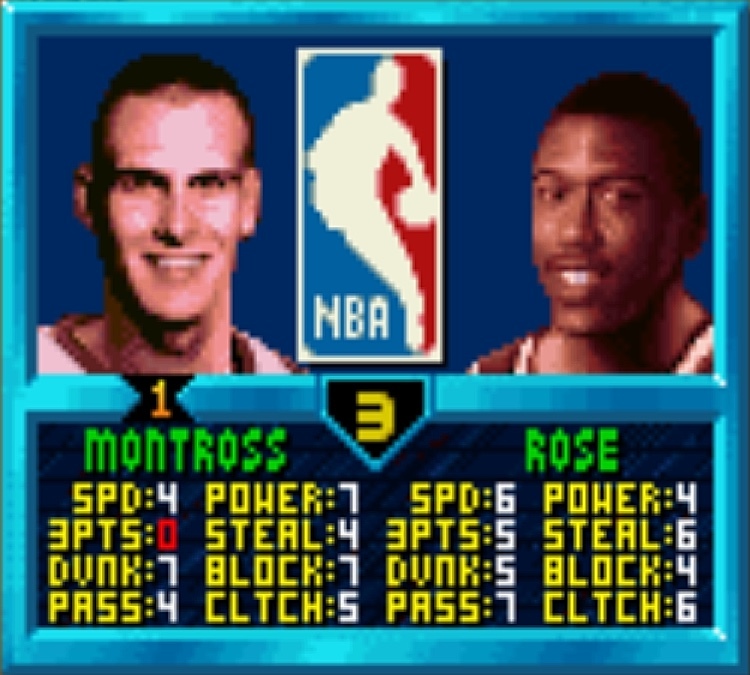 Thanks to this digital time-machine, I was able to see Jalen Rose play basketball. Sure he was doing somersault flip dunks and scoring so many 3’s that the ball lit on fire, but it was something. After a few games, as dumb as it sounds, I felt like I knew a little more about Jalen Rose the player. Sports games are funny like that. Not only are they, like all video games, a product meant to bring entertainment to anyone with two thumbs and time to spare, they’re also these annual almanacs that trap a league and its players’ year in amber. The DNA of that season can be accessed forever by anyone willing to take the time to study it, and we’re getting better and better at turning those subjective seasons into objective data each year. Last year, for the first time in its history, Madden correctly predicted the score to the Super Bowl. As now-former NFL’er Tim Grunhard told Wired, “These games nowadays are just so technically sound that they’re a learning tool.” He meant for the players and the armchair coaches, but for the historians too. Each week during the season, EA Sports receives the same searchable film database of every play that each of the league’s 32 teams do. All they’re doing is boiling what’s on that footage down into objective data # that can be put into an algorithm whose prediction models are then visually represented in a particular way # . It’s taking the objective part of the game and using it to make mathematically reliable assumptions. This is great for we gamers that play as the Packers against the Titans because winning is fun, but this also means our grandkids won’t have to rely on our secondhand, hyperbolic stories about how unfathomably accurate Aaron Rodgers was or how superhumanly dominant LeBron was during his peak; they’ll be able to play with (relatively) factually-accurate avatars of them. Ah, but therein lies the rub. Is Ken Griffey Jr. Baseball still a thing? I’ve found that the video-game version of J.R. Smith is incredible. He’s just way better than he is in real life, and I think the reason is because you get to make the decisions and not him. He’s an amazing player, but once you distill him to his physical self, he’s just unstoppable half the time. Basically, it would be your fault that future generations overvalued J.R. Smith.